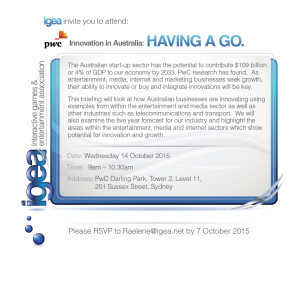 IGEA is looking forward to hosting an industry briefing for our Members and Associates on Wednesday 14 October at 9am. PwC’s Megan Brownlow will be presenting their latest Entertainment and Media Outlook report and looking at innovative industries in Australia. 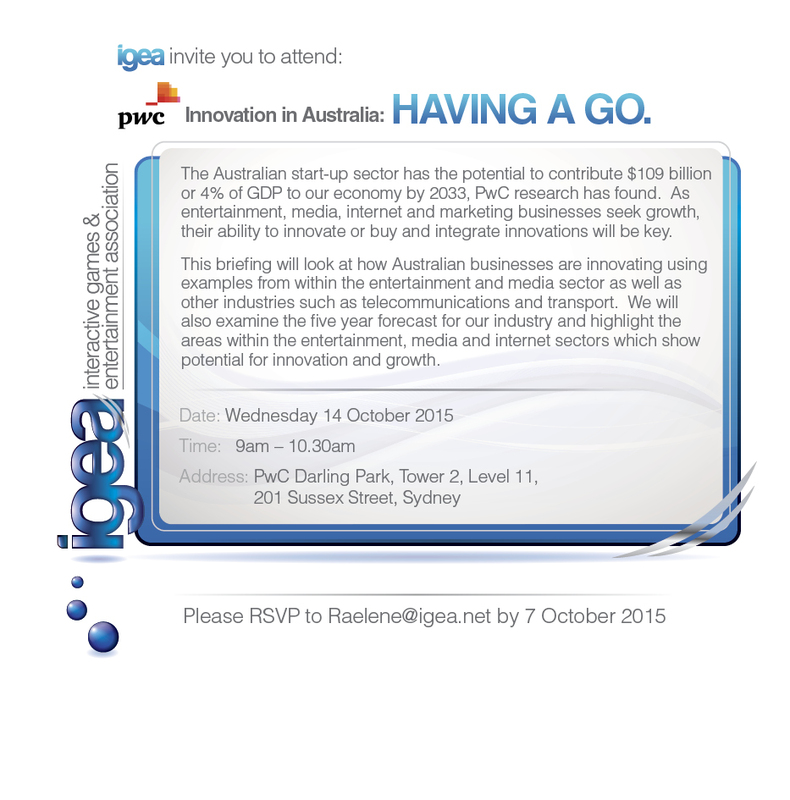 Details are below and please email raelene@igea.net if you would like further information.